Just a year after a major restyling, the Ford Focus coupe sees a host of styling changes: a new front bumper with larger air intake, dark-chrome finish for the grille, the elimination of the chrome fender vents, and on top-of-the-line SES models, dark-chrome wheels and a roof-mounted spoiler. Focus coupes with the 5-speed manual transmission also get a freer-flowing exhaust and a lower final-drive ratio to improve acceleration. 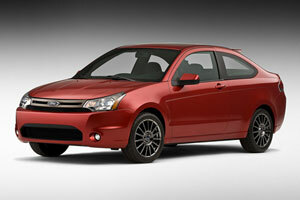 Ford is also adding a new SEL model to the sedan lineup for 2009. New 16-inch wheels, chrome door handles and chrome mirrors set it visually apart from the other models. 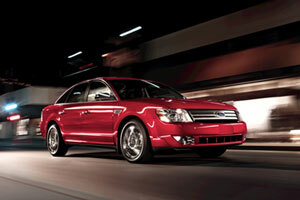 Inside, consumers will find leather-trimmed seats and Ford's SYNC infotainment system standard. A new option for 2009 Ford Focus models is electronic stability control (ESC). 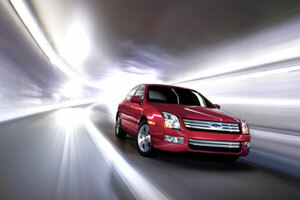 Introduced in 2006, the midsize Ford Fusion adds new standard features for the 2009 model year. While each update is model-specific, they include new ambient lighting for the interior, SIRIUS satellite radio, and a 5-speed automatic transmission with traction control (a 6-speed automatic is standard on the 3.0-liter V-6 model). Improving upon the sedan's active safety features, Ford has added AdvanceTrac electronic stability control to the options list this year. 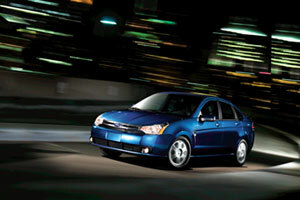 Adding a stylish flair, the new Blue Suede package (SE and SEL models only) includes a choice of four exterior colors. Each are accented with a charcoal black interior with blue suede accents and larger 18-inch wheels. 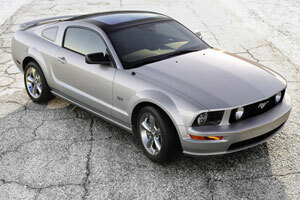 A one-piece, all-glass roof will be available as a $1,995 option on Mustang V-6 and GT models for 2009. The glass roof is made from standard automotive safety glass, similar to that found in side windows, and in case of breakage will shatter into small pieces with no sharp edges, Ford says. The fifth-generation Ford Taurus was introduced in 2008. For the 2009 model year, Ford has focused on safety with the addition of its AdvanceTrac electronic stability control as standard equipment across the model range. All 2009 Taurus models also feature Ford's SOS-Post Crash Alert, a system designed to automatically unlock the doors, activate the horn, and start the emergency flashers in the event the air bags are deployed. In an effort to lower the base price of this commodious family sedan, Ford has added a fifth model for the new year. Designated the SE, it represents the base series of the full-size Taurus. Seven new exterior paint colors are also offered for 2009.